A great Idea. 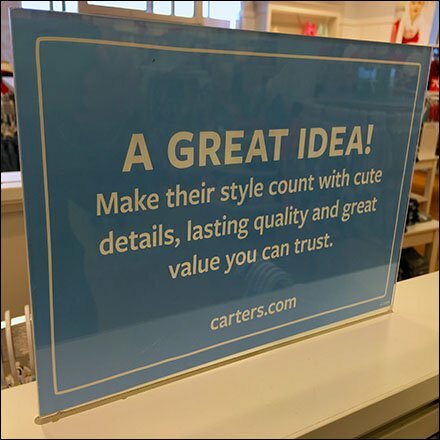 An entire mission statement in a single Making Style Count Table-Top Sign at Carters. And if that’s not enough subtle branding, see the reference to more style at Carters.com. Another great idea in a single clear acrylic sign holder. This Making Style Count Table-Top Sign at Carters adjacent to sister store Osh Kosh, by Gosh.